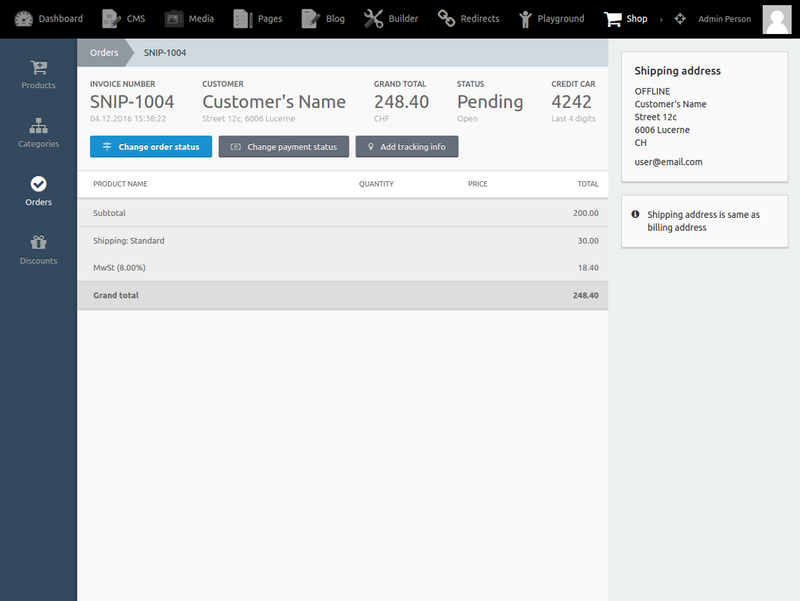 Ecommerce solution for October CMS using snipcart.com as a backend. Please note: this plugin is not affiliated with Snipcart directly. It simply provides an easy way to use the third-party e-commerce service with October CMS. Therefore, Snipcart-specific questions may need to be directly put through Snipcart's support. We'll provide support for plugin-specific questions, and plugin maintenance. Add the snipcartshopDependencies component to your layouts. This component includes all needed js and css files from the snipcart servers. jQuery can be included optionally as well. If you are using Rainlab.StaticPages, add a new menu entry of the type all shop categories to your navigation. Create a page and add the products component to it's markup. If you want to filter the product category by url parameter don't forget to select "Get category from url" as category filter option. Give it a url like /category/:slug* (don't forget the star if you want to use subcategories). Select this page in the plugin's backend settings under category page. Create a page and add the product component to it's markup. Give it a url like /product/:slug. 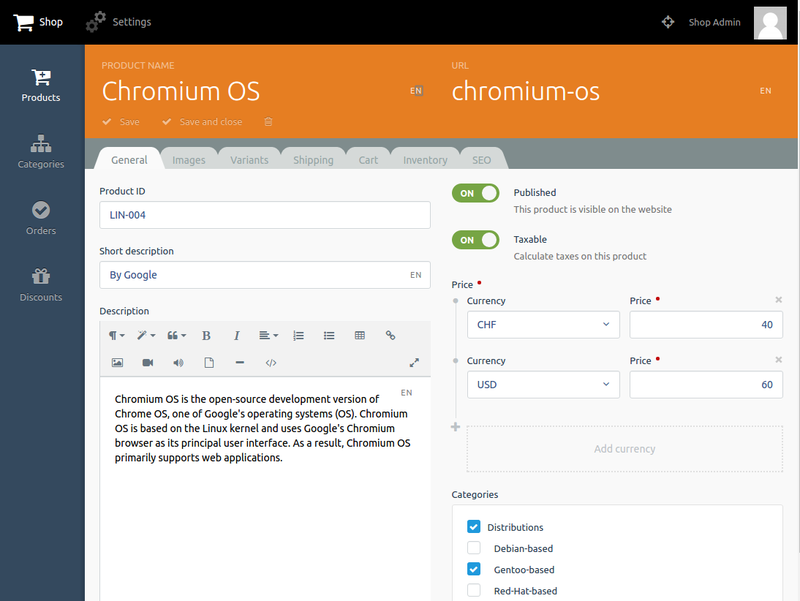 Select this page in the plugin's backend settings under product page. Setup at least one currency in the plugin's backend settings. Set up the same currencies in your Snipcart dashboard under Account / Regional Settings. If you are using discounts, make sure to set up Task scheduling for your October installation. This way the discount usage stats will get updated every hour. Create a public and a private API key in your Snipcart dashboard under Account / Credentials. Paste both keys in the respective input field in the plugin's backend settings.